Wheel Cap Installation (Video) - Ricambi America, Inc. The long-awaited Hill Engineering cam belt tensioner bearing for 456, 550, 575, and 612 models is now available. These replace the poorly-constructed "repro" Ferrari version of part 171057 and are now included with *every* V12 timing belt kit at Ricambi America. Hate looking at burned-out pixels on the F1 gear display of your F355? Ricambi America is proud to offer repair services for these LED display units. Ship us the broken unit and in less than 24 hours, it'll be repaired and returned, ready for installation. 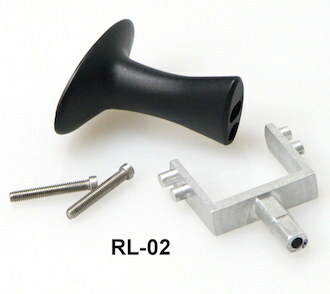 Broken T-handle for the reverse gear operation in your Maserati Quattroporte? No need to pay out for a complete control unit, because our simple fix will be better than the original manufactured part! Pesky CEL lights on your dash? 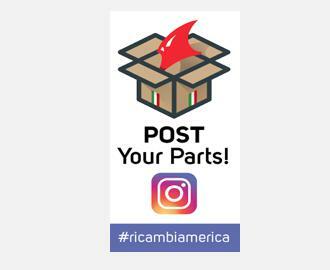 Scan your OBD codes, and if you need new oxygen sensors Ricambi America has them ready to ship. No generic sensors here. No cutting or splicing... simply plug-n-play! 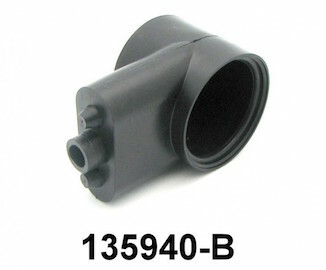 Protect your expensive oil pressure sender from the harsh environment of a Ferrari engine bay with our unique, and exclusive oil pressure boot. Designed and manufactured by Maranello Skunkworks. Now at Ricambi America. 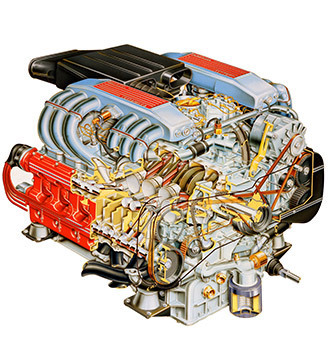 If you own a classic Ferrari, you know the importance of scheduled timing belt changes and major service intervals. We have complete timing belt kits in stock, and ready for immediate dispatch around the world. Is your F355 mirror bezel broken? In partnership with www.stickynomore.com, we are pleased to offer a remanufactured version of F355 interior trim panel 64483000. Made from stronger ABS plastic and wearing the factory correct hue of black, this item will never go sticky or gummy. Bring your F355 interior back to life, with only a few minutes of work.